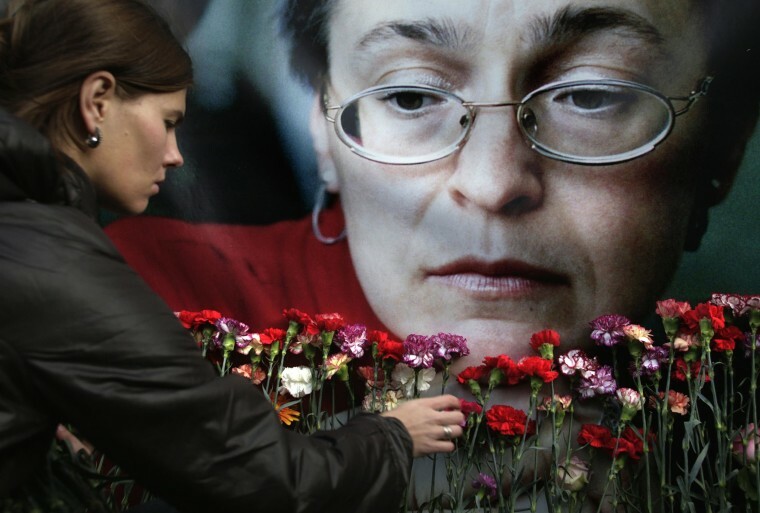 Five men were convicted Tuesday in Moscow in the 2006 execution-style murder of Russian investigative journalist Anna Politkovskaya, Russian state media reported. Politkovskaya, a crusading reporter for the liberal newspaper Novaya Gazeta who worked almost full-time on documenting allegations of human rights violations in the breakaway province of Chechnya, was 48 when she was gunned down in the elevator of her apartment building in October 2006. The murder raised worldwide questions about freedom of speech and of the press under Russian President Vladimir Putin — especially after three of the defendants were initially acquitted in 2009. The Supreme Court overturned those acquittals and ordered a new trial. A jury in Moscow City Court returned guilty verdicts Tuesday against three Chechen brothers — Rustam, Ibragim and Dzhabrail Makhmudov — Lom-Ali Gaitukayev, their uncle, and Sergei Khadzhikurbanov, a former Moscow police officer, the Russian news agencies Izvestia and Itar-Tass reported. It found Gaitukayev guilty of planning and organizing the murder. Khadzhikurbanov and two of the Makhmudov brothers, Ibragim and Dzhabrail, were acquitted in the 2009 trial. A sentencing hearing was set for Wednesday, at which prosecutors are expected to seek life in prison, the news agency RIA-Novosti reported. The men's lawyers said they would appeal.